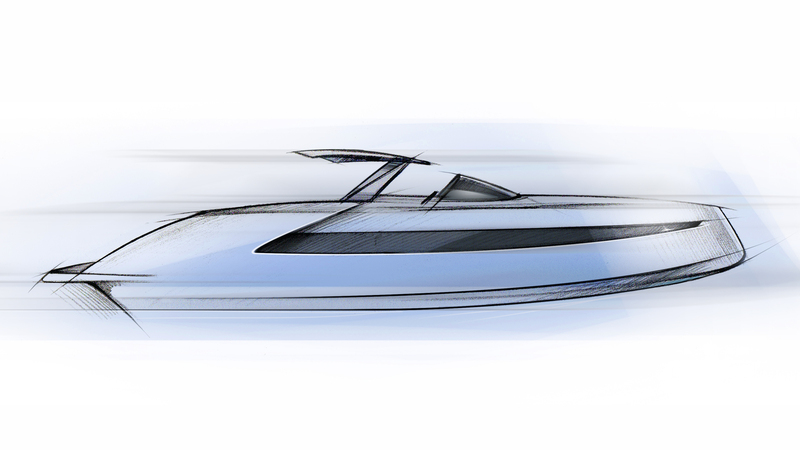 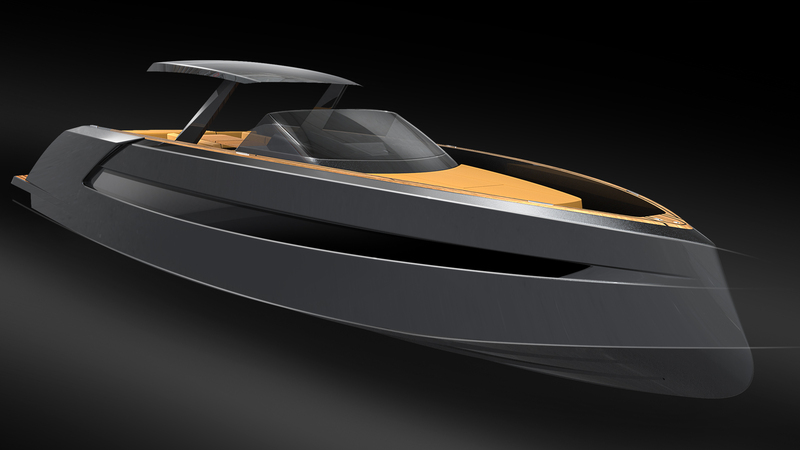 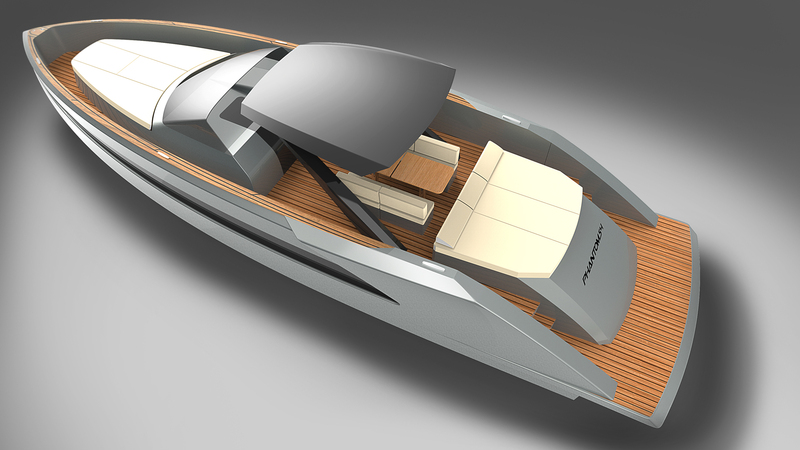 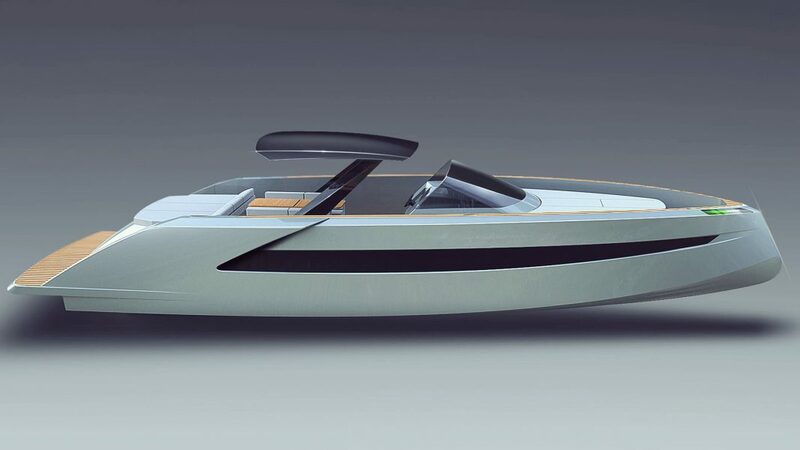 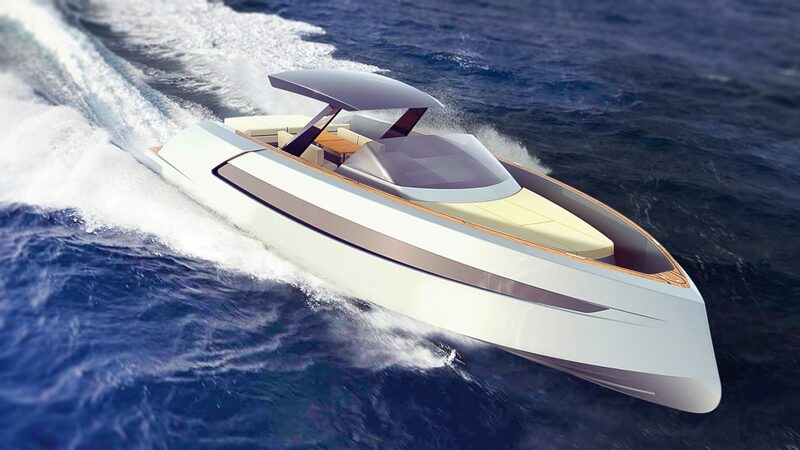 Phantom 54 is a luxury powerboat concept designed by Hamid Bekradi. It measures 54′ (16.5m) in overall length (LOA) & can accommodate 4 passengers, in 2 cabins: one master cabin with a king size bed & a cabin with two single beds. 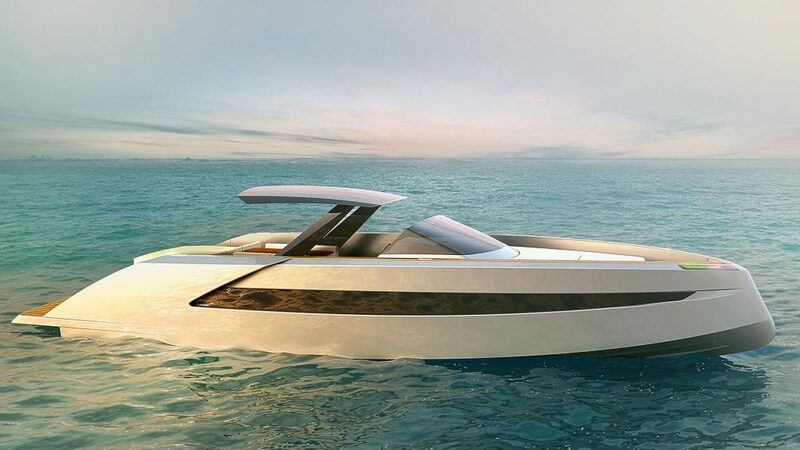 The exterior design of this boat represents a modern & elegant look. The air intake opening at the end of the cabin windows along the hull, gives his boat a “sports car look” and in the same time leads the air inside the engine bay to cool the 3 powerful Volvo IPS600 engines which together can deliver up to 1300 bhp & a maximum speed of 40 Knots.